There are roughly 3 trillion trees on Earth — more than seven times the number previously estimated — according to a tally1 by an international team of scientists. 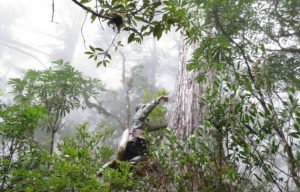 The study also finds that human activity is detrimental to tree abundance worldwide. Around 15 billion trees are cut down each year, the researchers estimate; since the onset of agriculture about 12,000 years ago, the number of trees worldwide has dropped by 46%. The previously accepted estimate of the world’s tree population, about 400 billion, was based mostly on satellite imagery. Although remote imaging reveals a lot about where forests are, it does not provide the same level of resolution that a person counting trunks would achieve. Crowther and his colleagues merged these approaches by first gathering data for every continent except Antarctica from various existing ground-based counts covering about 430,000 hectares. These counts allowed them to improve tree-density estimates from satellite imagery. Then the researchers applied those density estimates to areas that lack good ground inventories. For example, survey data from forests in Canada and northern Europe were used to revise estimates from satellite imagery for similar forests in remote parts of Russia. Originally published on the Nature website.